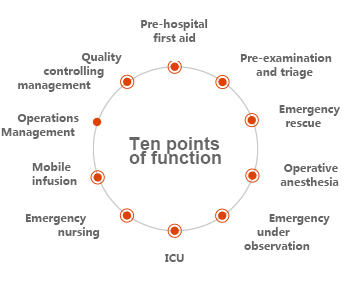 DoCare emergency clinical information system covers the whole-process management of the emergency clinical，including pre-hospital first aid, pre-examination and triage, emergency rescue, emergency under observation, emergency operating room, emergency ICU to patient outcome,. It forms a closed-loop management with the guidance of putting triage and leading examination, and the patients’ behavior tracking. It establishes the structured quick electronic medical records. The system forms the quality analysis with specialized subject characteristic by data acquisition of links, such as pre-examination and triage, rescue and keeping observation, which provides quantitative measure for the management of the department director, and provides data basis for scientific research and teaching. Pre-hospital and hospital mutually coordinate system realize the implements of pre-diagnosis, by completing the diagnosis of patients in the ambulance, mobilizing the resources of hospitals, completing all kinds of inspection, and making an appointment of inspection items. They all save the time of rescuing patients maximally. +Triage knowledge base:The system provides professional and flexible hierarchical knowledge base. And it includes more than 30 categories, traumas and non-traumas, it also includes more than 200 kinds of complaints. The knowledge base can be manually maintained. Recommending classification for patients by the wizard type operating mode and the automatic grading of vital signs, which completes the triage for patients by artificial confirmation. +Structured electronic medical records:The doctor can achieve rapid entry of emergency medical records by structured electronic medical records. 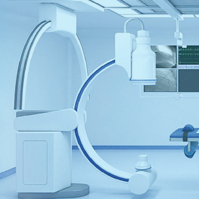 +Tracking of patients’ behavior: From classifying triage to intensive care, observation rooms to wards, operating room, EICU, the system can achieve the tracking of patients’ behavior. The system collects, summarys and analyzes patients’ medical data, forming the specialized statistical reports, which provides data support for the analysis of patients’ condition and the department quality control..